On January 30, 2018 the President of the United States of America will deliver the State of the Union address. It will be President Donald Trump’s first State of the Union, and while it is expected to have its own unique style and flair it will also have all the markers of virtually every other State of the Union address over the past several decades. Whether the President leans left or right, there are certain hallmarks we Americans can expect from the annual address no matter who’s standing in front of the joint session. Those predictable elements can be applied to any “State of the…” speech, even in the sports world. “My fellow Coloradans… Whether native, transplant, ex-‘stateriate’ or simply someone who has adopted one of our many fine teams as their own, I thank you for your support of sports here in the great State of Colorado, across the United States and throughout the world. “Founded in 1876, Colorado may be the Centennial State but we are also a championship state. In the past year we have witnessed title banners raised to celebrate crowning achievements at every level in sports. “Of course, success does not come without some failure. For all the great things that happened over the past 365 days, we were not without our disappointments. A last-place finish in the AFC West. The completion of the worst season in the NHL’s shootout era. The fall that followed ‘The Rise.’ Jon Gray’s performance in the National League Wild Card game. “We know there is much work to do — both for our defending champions and for those striving to reach that status. “The Denver Broncos must find a long-term solution at quarterback. There is no higher priority for sports fans in the Centennial State than finding that next great leader who will deliver our next Lombardi Trophy. “The Denver Nuggets must establish a closer and stop stubbing their toe against inferior competition. Head coach Michael Malone, I challenge you to pick that player who will take your last shot and stick with him. Nuggets players, I implore you to not simply expect victory when the Hawks or Suns are in town. “The Colorado Avalanche must continue to show they are a different team without Matt Duchene and in Jared Bednar’s second year as coach. Now in the playoff hunt, Colorado cannot let a bad goaltender’s groin and a lengthy stretch of road games undo the positives they have accomplished through the All-Star break. “The Colorado Rockies young starting pitchers must show that last season was the start of something great, not just beginners luck. General manager Jeff Bridich has build an imposing roster and a stellar bullpen. It’s up to the young starters to deliver another trip to the playoffs. “Furniture Row Racing must not let off the gas — literally. You had the best car, driver and crew last year. Nothing has changed for this year. Go win another Cup. “The University of Denver must not allow the loss of their leader hamper another chance at a national hockey championship. Hobey Baker Award winner and team captain Will Butcher is gone, but the talent to win another NCAA title remains. Bring home the hardware, again. “Our Winter Olympians must show that — even though Colorado has refused and continues to generally rebuff the notion of hosting a Winter Games — we still are home to some of the greatest winter sports athletes in the world. Settlers came to Colorado seeking gold and silver in our mountains. Take that same mentality to South Korea, Colorado Olympians. “Much attention is given to the major professional sport teams here in Colorado, and rightfully so. They are the faces of our great state — great competitors and ambassadors on a national stage. But there are countless other athletes deserving of our attention and praise. “I think of Cohlton Schultz, the wrestler from Ponderosa High School. Not only did Cohlton win his second state title in as many tries last year, he was also crowned a world champion in the Cadet World Championships in Athens, Greece. He will don the Mustangs’ cardinal, gold and black at next month’s state meet, but he has already made us supremely proud in the red, white and blue. “I think of CSU’s Mostafa Hassan, the national champion in indoor shotput. Hassan was born in Cairo, Egypt, but found success here in Fort Collins. “Here in Colorado we are home to some of the most unique sporting opportunities in the world. “We must continue to support Yoga on Rocks, America’s only rugby-specific stadium and one of the few dedicated curling facilities in the Western United States. “We should continue to embrace our altitude, just as the U.S Olympic Committee, international ice climbers, world-class distance runners and triathletes and so many others have. “This past year was also one that reminded us just how lucky we are — even when the outcome on the field of play was not what we hoped it would be. “Yes, our beloved Broncos suffered through one of the worst losing streaks in franchise history. But we can be thankful and confident — even when long-term ownership of the team remains in limbo due to Pat Bowlen’s declining health — that there is no chance that the team will be moving to Las Vegas. “We should not take that for granted, however. Sports is an ever-changing climate and we cannot be complacent in our fandom. “The Rockies are on the rise, but we cannot expect their trajectory to stay the course without our support. We must attend games not just for ‘The Rooftop’ party experience, but to root on one of the greatest third basemen to ever play the game. We must resist our urge to do the wave, and instead pay attention to who is warming in the bullpen and who is still available on the bench. The National League West is perhaps the toughest division in baseball, and the Rockies need your full support. “Yes, it would be an honor to rename our Metropolitan Football Stadium District’s marquee facility ‘Pat Bowlen Field at Mile High,’ but the financial climate of the National Football League and the team’s desire to continue to provide a world-class fan experience means that a corporate partner’s name must be emblazoned on the side of the facility. When he was leading the organization, Mr. Bowlen never let sentimentality get in the way of winning. We must hold to that same ideal. “It was just two years ago this week that Von Miller and the Broncos were on their way to victory in Super Bowl 50. More than a million of you flooded the streets of Denver with orange in celebration of their success. 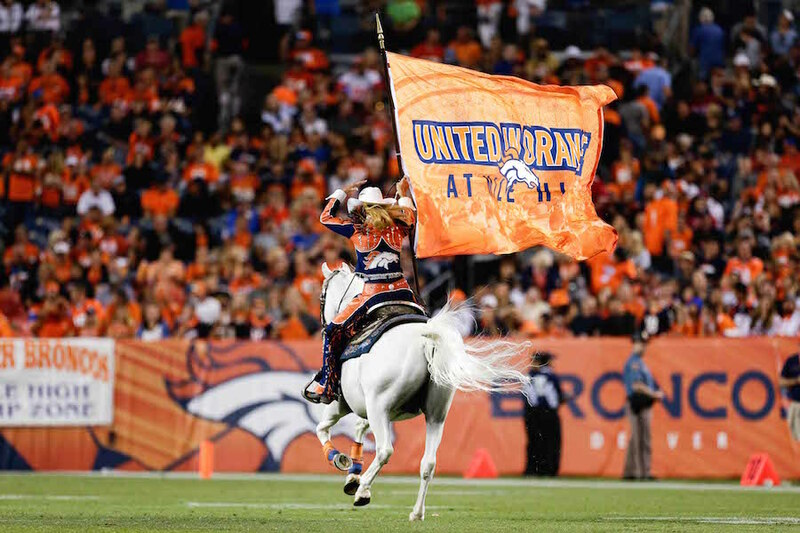 “Cherish that memory, but forge ahead as fans of all teams in Colorado using that feeling of pride and jubilation as motivation for the future. Champions are made in Colorado, and you the fans play a major role in that. If another parade is to happen soon, it will be in part because of you. “Go out and support your teams. Hold them accountable and expect excellence, but support them even when things don’t break their way.